The power of email is undeniable. Whether we are sending the latest viral Youtube video to our friends, setting up an interview for our future job, or communicating with potential clients. Last year, the Radicati group estimated an over 4.3 billion increase in email accounts worldwide. Pew Research told us that over 92% of adults use email regularly. It’s vital to our lives even in this technologically modern world that offers so many alternatives to email. Reality is, email is far from dead (it’s true – there’s even a site called emailisnotdead.com!). If you are anything like the rest of the world’s email users, you have probably found an amazing email client that can handle anything you throw at it. And once you found your perfect email partner in crime making the move to a new email client can be very difficult and is avoided by many users. Sometimes you may be forced to look for a new client due to different circumstances. It may be that your current client is not being updated by its developers anymore, or it is not compatible with the OS of your new Notebook or Computer. Many Mac users are facing with this exact situation. They have to (for whatever reason) switch from Mac to Windows or Linux. You may be able to install the Windows compatible version of your current email client on to your new OS. Some clients are Mac specific though and you will need to find the best Windows alternative of your Mac email client. We decided to put together a list of our favorite Windows alternatives to OS X email clients. All the email clients below support IMAP and POP3, and we didn’t factor in pricing when considering these apps because picking the best email client is all about features, not price. Please also remember that most of the Windows alternatives on our list are available on Mac. For the listings below we are assuming though that you have not used them yet. First up, let’s dive into a few of the best options available for Mac devices to see what Windows apps are up against. Apple Mail is the default email client available on all Mac computers, and it’s a favorite of many die-hard Apple loyalists. The Mail app offers basic features like the ability to intuitively manage multiple email accounts and organize your inbox as you please. Along with the added bonus of integrating seamlessly with other Apple products and apps (the main draw to using Mail) the interface is clean and intuitive. It does remind a little bit of a modern version of Outlook, just less cluttered. Airmail 3 is another, very popular OS X email client. The main reason is its combination of a beautiful, streamlined interface and a completely customizable experience. For Apple lovers who preferred the Mail app’s intuitive design but want more functionality and productivity, Airmail 3 is the winner. It offers just what you need out of an email client while adding a touch of advancement (like integrations with Asana and Trello) that has kept it a consistent crowd pleaser for the past few years. To integrate Airmail with Asana, open Airmail then go to Preferences > Services > Asana > Link. 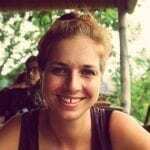 Asana is a great app to improve team collaborations and help teams track their work. To enable Trello integration, in Airmail, simply go to Preferences > Services > Trello > Link Trello. Just like the other Mac contenders on this list, Spark has an easy setup and streamlined interface. The main reason it is one of the most downloaded OS X email clients is its ability to integrate with nearly any other productivity tool you may want to use (Evernote, OneNote, Dropbox, Google Drive, Pocket, and more). There are dozens of add-on widgets you can choose from to personalize your experience along with Spark’s standout feature, a smart inbox, that categorizes your emails intelligently. Now, let’s get into the best Windows alternatives for these loved OS X email clients. We can’t write a proper review of the best email clients for Windows without mentioning Microsoft Outlook. 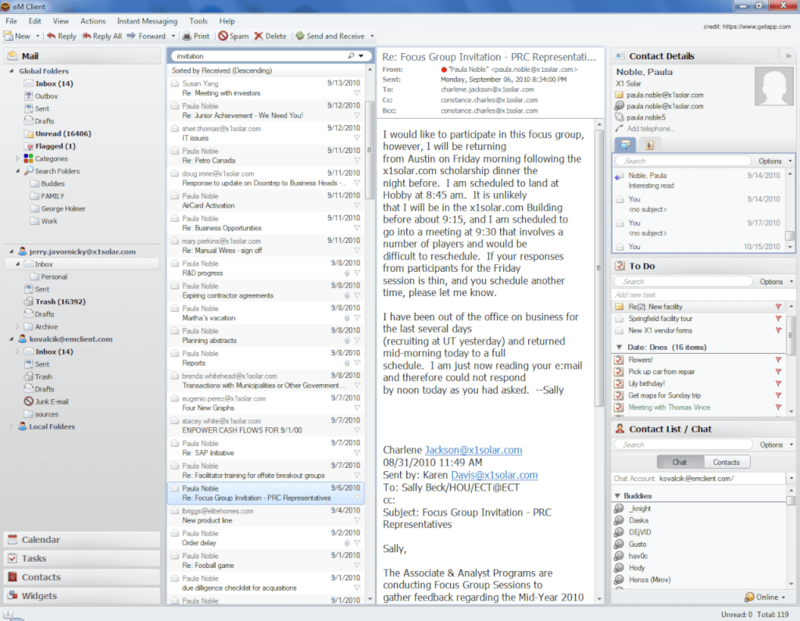 This email client has been around for ages and has consistently ruled the game in terms of a functional email program. You can download Outlook as a desktop client (if it’s not already on your computer), but you also have the option to use the virtual suite on its own. Outlook integrates with the rest of the Microsoft Office Suite smoothly, providing an incredibly productive option for those who like having the whole package. 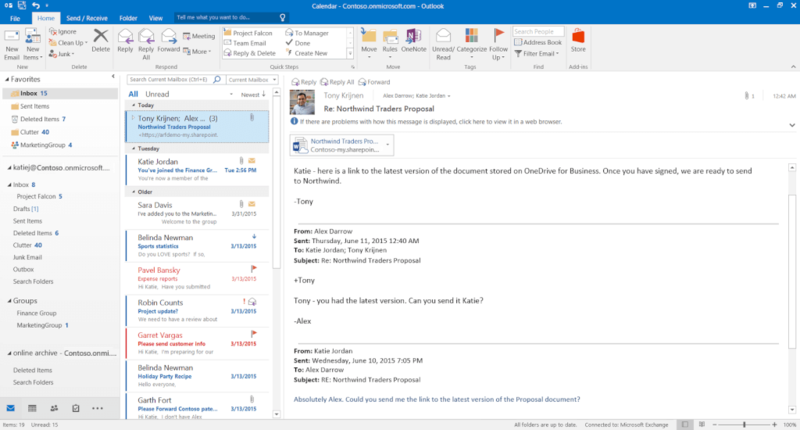 For multiple account management and contact integration, Outlook is strong because of its connection to the Microsoft Office Suite. Setup for Outlook on its own, and the entire suite is simple enough but isn’t as intuitive and clear-cut as it could be. Also, the calendar app has been neglected for a few years, making it weaker than other email clients. Organization and customization are decent in Outlook but are not at the forefront of worthwhile features. MS Outlook can be overwhelming especially for previous Mac users, that are used to clean and intuitive UX and UIs from their Apps. 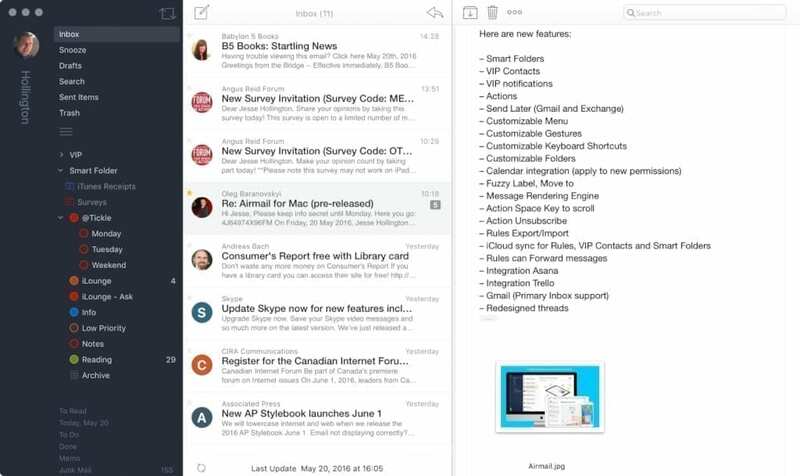 Mailbird is inspired by a Mac email client called Sparrow. Our Founders loved the email client that was acquired for $25 Mio by Google in 2012. They decided to build a Sparrow-like App for the very much underserved Windows market. Mailbird was born. Many of our users, that came from Mac love Mailbird for its customization options, visual clarity, and a better overall experience that will allow you to become a superior email ninja. Our developers put a lot of effort and focus on a super clean and intuitive UX and UI to give people a unique alternative to Outlook. Multiple email account management is ridiculously easy in Mailbird, storage management is also a breeze, with the ability to coordinate with Dropbox, Google Docs, Evernote, Asana, and more. Just yesterday we have launched the Alpha of our brand new Contacts Manager, that allows you to import and export contacts from your current email provider and keep your entire network organized. It will sync with Outlook and Gmail and combines unique and known features to unify all of your online contacts with ease. Mailbird is like a Mac App on Windows. You are also able to sort and search correspondence via profile photo or customizable folders and labels, ensuring an efficient system. If customization is what you care about, you will love Mailbird. You can customize pretty much everything starting from the ability to customize account icons, font formats, and color schemes, along with shortcuts, languages, email notification sounds and dark theme options i.e. While Mailbird doesn’t have its own calendar app, Google Calendar integrates to allow you to merge your emails and appointments in one convenient place. The Setup is intuitive. The design and interface of the app are made for those who like beautiful productivity, with new features constantly being added to improve the overall experience. We have added advanced touch support for all your devices, third party apps for your social networks, and a speed reader to allow you to cut your email reading time in half. Customization is better in eM client than Microsoft Outlook, nevertheless, it is very similar to Outlook. Contacts and calendar integrate well. The setup is easy and overall the app supports incredible customization and add-on features, meaning that just like Airmail 3 and Spark available for OS X or Mailbird for Windows, you’ll be able to adapt your client to your changing needs. The interface is stylish, clean, and incredibly natural to use, making the experience pleasant and mostly hassle-free. 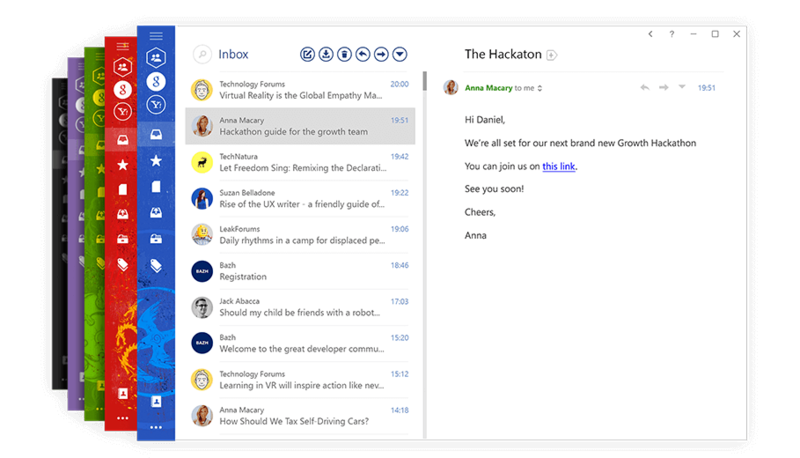 One could argue, that the app isn’t quite as modern as other email clients out there, but if you love the base design of Microsoft Outlook coupled with the customization available in Mac apps like Airmail 3 and Spark, you’ll love eM client. Similar to MS Outlook, Thunderbird has been around for quite some time already. 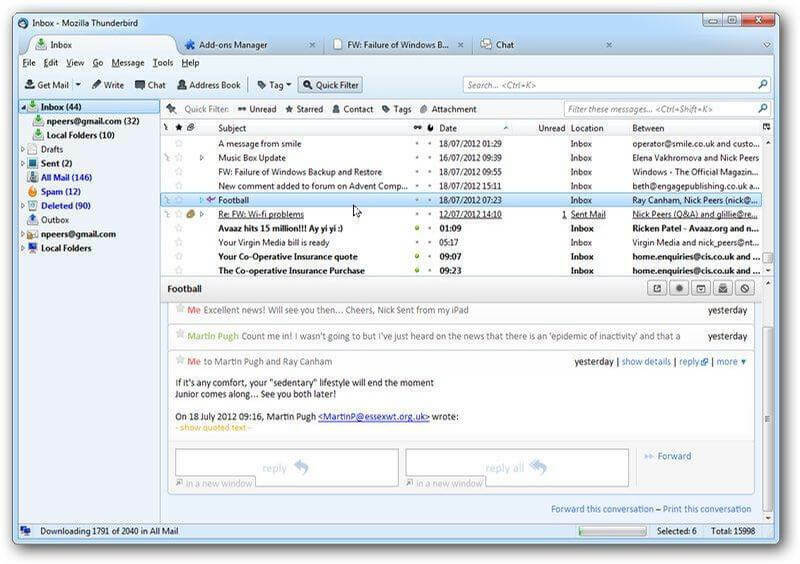 And even though Mozilla has suspended its development, it is still a very popular choice for people that are looking for a reliable and free email client. As with Mailbird and eM Client, multiple account management is a complete breeze. Import and export of contacts is fairly simple. While Thunderbird doesn’t come with an intuitive calendar integration, you can download the Lightning add-on to create a calendar you can use in conjunction with the main app. The setup process for Thunderbird is easy. 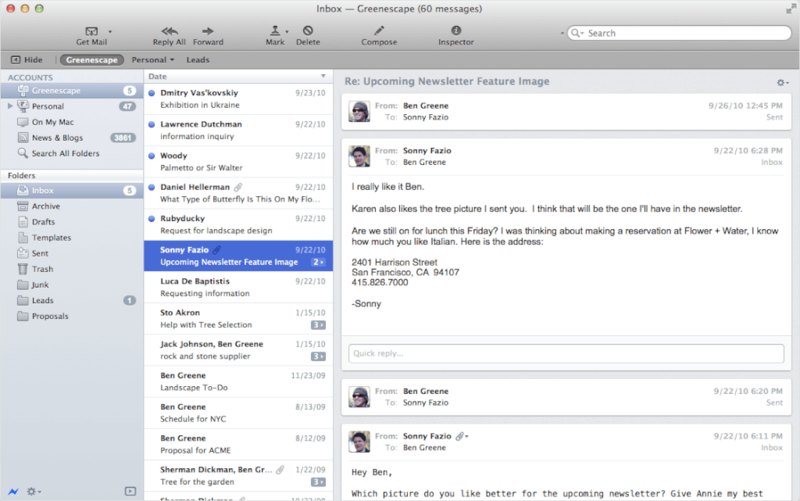 The overall interface is a bit more “rough around the edges” than Apple’s Mail app i.e.. This may matter for some users making the big switch. But Thunderbird offers endless customization, allowing users to create an email experience that is just right for them – something that even the best Mac apps haven’t completely mastered (yet). So, Which Windows Client Is Best For Your Switch? At the end of the day, choosing the ideal email client will come down to two things: (1) Your daily use and (2) the features that are critical for your productivity. Finding an app that works with you, not against you is key. Hopefully, the list above helps you find the best email client to support you making the move from Mac to Windows. What do you think? 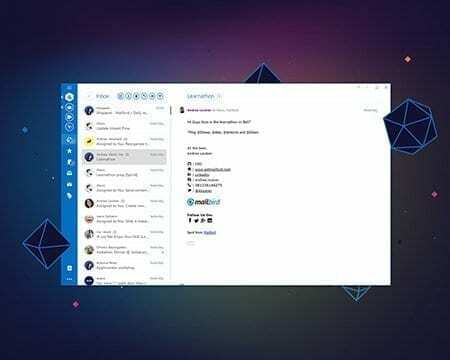 What is your favorite Windows email client? 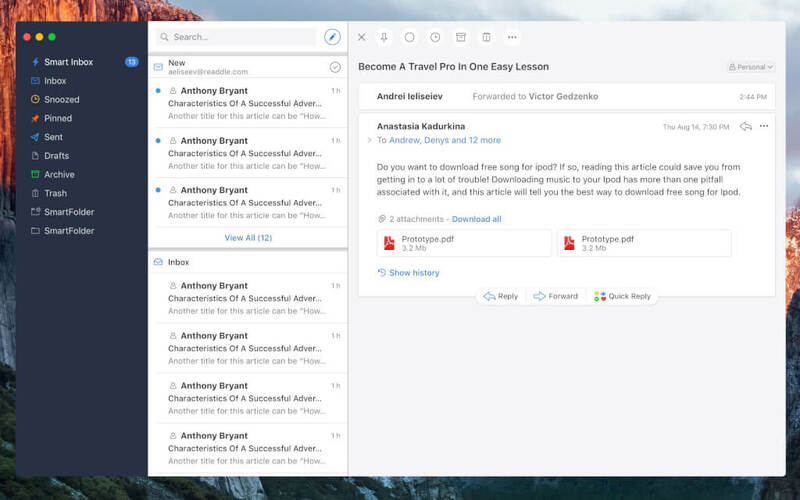 Mailbird is your productivity hub for Windows. Check out the latest news and update from Windows here! 4 thoughts on "Windows Alternatives To The Best Mac Email Client in 2019"
Does Mailbird have customizable smartfolders similar to the Mac email apps you featured? Hey Patrick, no we don’t yet. Its on the roadmap but not in the works yet. Does Mailbird sync with iCloud contacts? Hello Marjan, unfortunately not at the moment.